Our staff are exceptional—just ask our past campers! Camps are only as good as the people running them, and our past campers say our staff are the number one reason they come back each year. Charles and Brian methodically train and groom young men and women to become part of the CSS family. Most of our staff start off as junior counselors or group counselors and then grow into the role as group leaders. Ultimately, a few group leaders are hired to become camp leaders such as Marissa Goodhue, Joe Abrantes, Doug Lyons and Chris D’Amico. CSS has a seasoned staff, who care about what they do and enjoy their days at camp as much as the campers. Staff consistency helps deliver strong programs moving from one camp to the next, and from summer to summer. Our organization is staffed with people who share an ability to connect with kids. Whether it’s a shy kindergartener experiencing their first camp day, or a high school standout soccer player looking for elite coaching, Champion’s staff provide an experience that will support, motivate, and inspire children to have fun and learn something along the way. 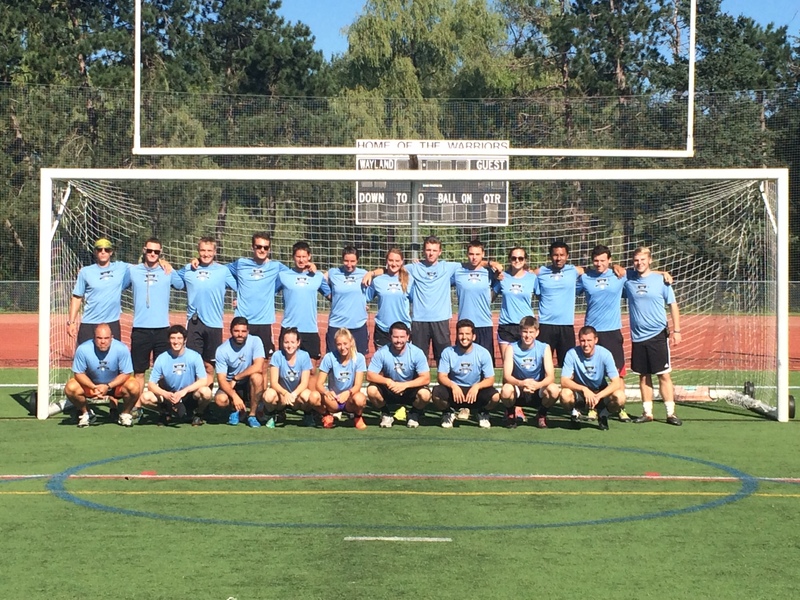 Our soccer camp staff are former high school and current college standout players, many of whom Brian and Charles have had the pleasure to coach on their respective high school teams.